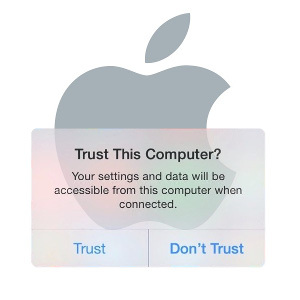 I recently ran into an issue where I would plug my phone into my laptop, and each time it would ask if I wanted to trust the computer. I’d click trust, try to get into iTunes, and it still wouldn’t find my phone. So I’d unplug and re-plug in my phone, and lo and behold, it would ask if I wanted to trust my computer again… and again… and again. Rebooting didn’t help. Updating iTunes didn’t help. So went out to find a solution.